Truth: Honesty, fairness and consistency are the cornerstone of any meaningful performance management process. With fully customizable Web-based forms, 360-degree feedback and built-in writing tools, you'll be confident knowing your automated process is the right fit. Time: Employee goals are rarely afforded the luxury of annual or semiannual deadlines, so why rely on a paper-based, once-a-year process? Instead, unite the power of automation with the cadence of your company's business demands. 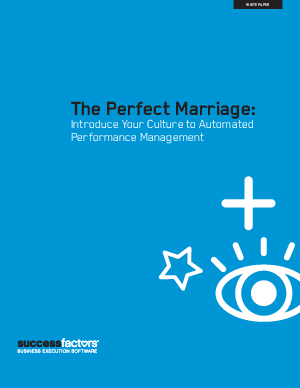 Tone: Present your automated performance management process in a way that naturally feels inclusive to your culture and ensures that a common language is used throughout the entire process.